We love getting our clients what they need. Just a few weeks ago, we had in our inbox an inquiry to source some fashion jewelries in Chiang Mai, Thailand. BuyingNinja's clients so far are mostly sourcing for handicrafts, woodcrafts, wooden furniture, leather work, and other artistic pieces. So we started our research. It turned out that Chiang Mai's Sunday Night Market and Day Market have a lot more to offer. This is only one of many items that our client bought from the market to bring home to Stockholm, Sweden. The bracelets are long strip beads knitted in various thread techniques. There are many 'lock' types at the end of each bracelets and they look amazingly fantastic. 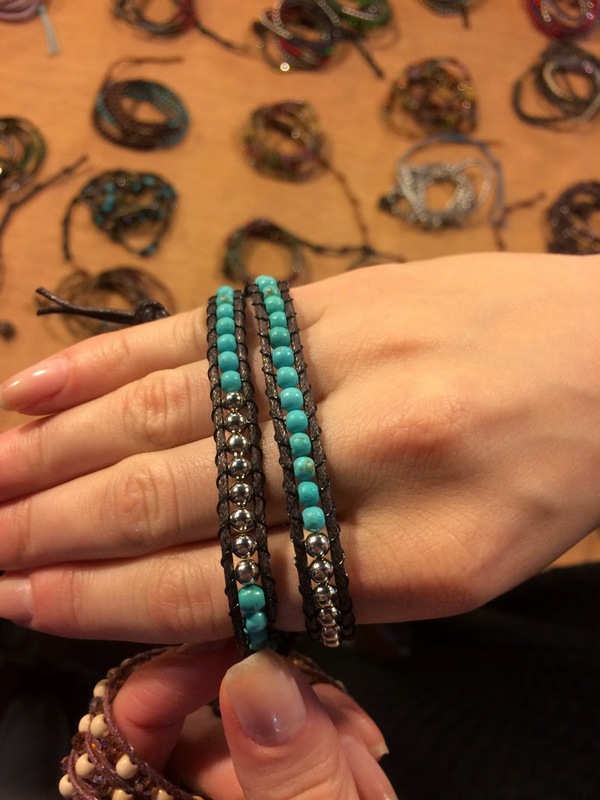 We found not only two-round bracelets available; three, four and five-rounds are available too. There are too many beautiful designs than what we can share here. The client requested that the materials are free from any substance that can cause allergy to skin. Fortunately, they are. BuyingNinja is a Thailand buying agent located in Chiang Mai. A team of professional that specialie in searching and negotiating the purchase of goods in Chiang Mai on behalf of the buyer. We are also often called handicraft broker. If you are interested in Thailand wholesale items, we can be of assistance to you. We can help you find the widest range of wholesale handicrafts and handmade furniture in Chiang Mai and get the best deals.